In 2004, the family of missing woman Brooke Henson were notified that Brooke’s social security number had shown up on a job application in New York City. Brooke’s family was cautiously optimistic- though they wanted their family member to be alive, none of the other information matched their Brooke. And they were right to doubt, because the woman using Brooke’s name and information was actually 28 year old Esther Reed, a conwoman who had been stealing identities for the past eight years. She would elude the police for two more years before they finally caught her in Tinley Park, Illinois on February 2, 2008- the very same day as the mass shooting in a local store. 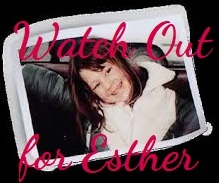 Had Esther’s crimes made the leap from identity theft to murder?